The Smells are a new-ish four-piece band from Madison, and they call their music “grain belt rock n’ roll”. They have two singers who also play guitar. Their names are Leith and James. Leslie plays bass guitar and sings. Josh provides the drumbeats. 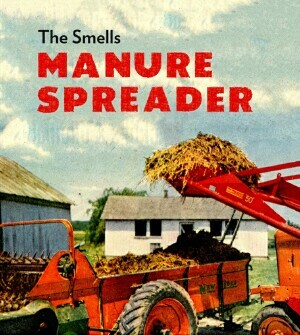 The Smells released an 8-song cassette tape called ‘Manure Spreader’. This is what I have to say about that. The opening song is titled “1965”, and it has a fuzzy guitar sound and a catchy chorus. I liked the year 1965, because that’s when some of my earliest memories come from, like sitting on my Dad’s lap and gumming the lip on his beer bottle. But if any of you readers ever try to gum my beer bottle, I may get upset with you. “Vitamin World” is a little more frantic, and the words are harder to understand. But often it’s a good thing when listeners can’t decipher the words. For one, it prevents them from singing along in their car like a fool. This song is under 2:00 long, and that would make Pete Townshend proud. Things get wooden on the alt-folky “Winter Song”, which does feature lyrics that can both be understood, and probably sung along to as well. Or hummed, at the very least. I imagined hearing Jay Farrar sing this one, except Jay Farrar always sounds like his big toe hurts. I don’t think The Smells have any toes that are giving them pain. “Cherry Bomb” is the fourth song. It is not a cover by The Runaways. Side B starts with the song “Another Hit (In A Car)”, which, as a title, also brought back memories of my youth. But I’d bet lots of teenagers from rural areas of Wisconsin have decadent car stories to tell. Track 7 is titled “Fish”. Thank goodness it is not titled “Phish”. The last song is “GFG”, and at first I thought this was a term that I read about in Dan Savage’s newspaper column. Which of course, led to lots of speculation what the “F” substitution could be in the phrase “good, giving, and game”. I’ll let your imagination run wild with that one. And, no, I don’t actually think this has anything to do with the song at all, except that both the tune and my speculations were fun and enjoyable. 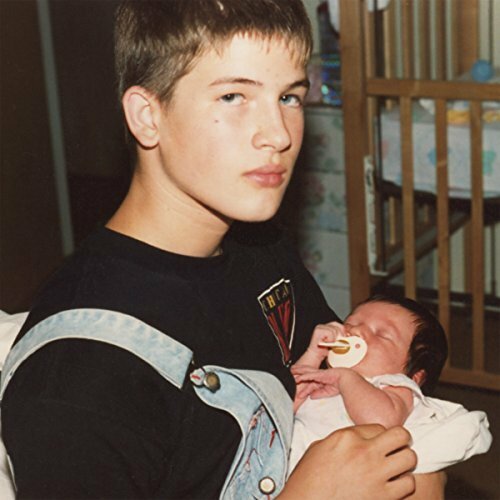 Big Thief steals your heart in small ways; tossing soft, modest waltzes in traveling vagabond ballads while defenseless confessions trickled with ticklish licks, windmill trills and ghostly solos smolder in glowing emotions. Penning beautiful second-thoughts and half-caught eavesdrops into bittersweet indie-rock subplots, song-writer Adrianne Lenker brings tender strength and subtle wonder to the band’s sophomore release deploying discerning ear-worms slipped in whispers uncoiling coy joys from stair-climbing rhymes. The charming, demure, “Capacity,” packages timid sympathies with earthy verses besides purring purges blessed in acceptance for driving folk woven from corrosive commotion and smooth blues tipsy with sing-song tonics rich in wise kindness. Returning to Madison for the first time as a headliner, Big Thief plays the High Noon Saloon July 3rd with Virginia folk-singer Twain. Every once in a while, a package crosses my desk which catches me off guard with it’s unique and captivating presentation. And, let’s face it… in this modern age, to experience something artistic and musical that arrives from a road less traveled, is a rare and welcome event. In this instance, the road leads to and from Austin, Texas, and the project is a concept album about Austin, paired with a companion novella based in Austin. The brainchild of this conceptual undertaking is guitarist, singer, songwriter, and arranger Fehmi Nuhoglu, known more commonly as “Franky”. 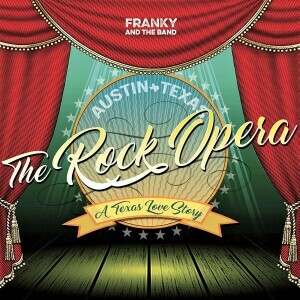 Franky composed 13 songs to describe his love for both the music of Austin, and the community itself. As diverse as Austin is, it is no wonder that these songs run through a variety of stylings, including (but not limited to) blues, Tex Mex, hard rock, country, ballads, and dance. It’s evident that Franky sought to present the best possible performances for this project, even at the sacrifice of his own abilities. Musicians from across the USA lend their talents to these beautiful and inspirational compositions, with Franky himself only appearing on five tracks. Obviously ego was not a factor in the recording process! The accompanying 116 page novella, “A Love Like Texas Weather”, is a fictional love story occurring in and around the city of Austin, and includes a plot line that subtlety but effectively ties in with the sequence of the concept album. If I owned a 10-gallon Stetson hat, I would tip it to Franky And The Band, and whoop and holler in appreciation… and hopefully get ‘em back for an encore. Recently in Madison to open a show for TAUK, the 7 piece horn-driven instrumental powerhouse from Minneapolis called PHO got the evening off on the right foot… well, both feet actually, as they immediately won over the Madison music freaks and got everybody off their butts and on to the dance floor. 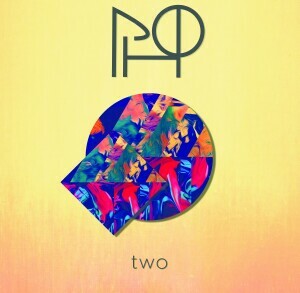 As such, I did not hesitate when asked to review the group’s new CD, their sophomore effort, simply titled ‘two’. There is a Prince vibe present here, which is not by accident. His Royal Purpleness had taken notice of PHO shortly before his passing in 2016, and actually invited them to open for Larry Graham at Paisley Park. Additionally, percussion on the ‘two’ CD is courtesy of Kirk Johnson from Prince’s New Power Generation. So, regardless of all the accolades and awesome associations, how does this music stand up, purely of it’s own merit? Quite exquisitely, thank you very much! This musical collection is more than dance / funk / groove rock… these songs all breathe with their own lungs, and stimulate and invigorate a life all their own. Sometimes colored by a more avant garde electronic sound, and other times throwing down old school jazz rock like some 1970s attitude that could have been found on a Brecker Brothers or Crusaders album. One thing is for certain, if you’ve got ants in your pants and you need to dance, then you got to get some mo’ PHO in your diet! This music is chock full of “Vitamin Whee-e-e-e-e-e” and is guaranteed to cure whatever might ail you! Just be sure to stretch first, ‘cause your muscles are going to get a hip shakin’ workout! Bound by earnest concerns cresting in hypnotic topics and focused hopes bubbling with fearless endearments, “Tighter,” creeps half-asleep in deep-sea fatigue strung among tight-rope kaleidoscopes; a tense sensation somersaulting from beleaguered to exalted, smothered in displaced promises, uprooted in rooftop thoughts and lifted in shifting dreams. Paving dark, defiant highways where twisted detours pass wind-blown beachfronts smeared in silver-plated industrial-twang, Squarewave’s interstellar tremors race into an endless night hovering just past the hi-beams as love, freedom and release weave nomadic ballads between cataclysmic burn-outs dipped in dawn-breaking radiance and airless mechanics spinning molasses-wrapped melodies around storm-distorted chords. Shadow-soaked experiences made tangible in roaring prog-rock riffs. 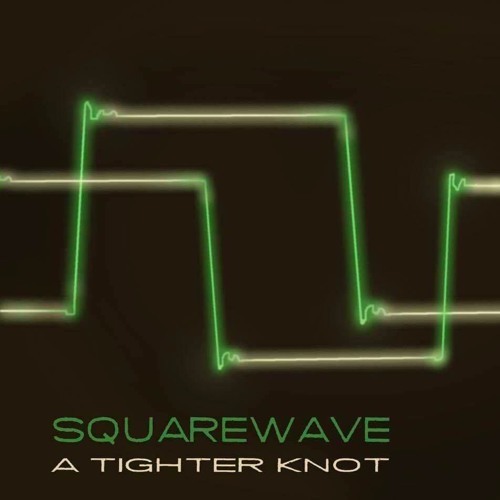 subversive psychedelic leads and driven New Wave rhythms; “Knot.” floats, emotes and coasts painting tasty hay-wired spirals amongst angular cliff-hangers. 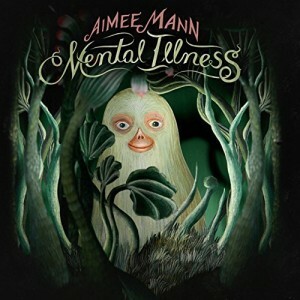 Stripping away all but what makes Aimee Man one of the finest songwriters of her generation., “Mental Illness,” dresses perceptive duress in simply stated fates; her rich sensuous voice kindly underlines in cleverly crafted melodies backed by studious acoustic guitar, airy string arrangements and cozy open-hearted choirs. Mann’s quietly enlightened ballads are lovingly framed in melancholy modesty, transforming forlorn warnings into picture-perfect curtain-calls, underscoring a razor-sharp intellect behind each sweet turn of phrase. Flinty pop symphonies swaddled in fallen-angel sympathy, Mann’s ninth solo endeavor blends affectionate reckoning inside faultless resolve, supporting each song’s struggling characters in warm compassion as objective conjecture meets earnest concern and blind-faith perseverance embraces patient consolation. Aimee plays Madison’s Barrymore Theater May 2nd along with beguiling ironist, talented troubadour Jonathan Coulton. Dispatched with placid mastery, wistful intricacy and evocative serendipity “Threshold,” unscrolls exquisite hobo road-trips extracting ecstatic patters from synaptic guitar acrobatics to form floral chorals merging in thorny harp-like flights tastefully laced with river-running percussion. White-water otters tramping in railroad-gypsy mystery, bewitched pixie proficiency and intuitive cruise-controlled industry, San Francisco’s Six Organs of Admittance blurs the lines between disciplined imaginations and improvised compositions; transcendental sentinels camping at heaven’s gate drizzling vigorous country-jazz arabesques over teeming, bohemian dreams. Enigmatic instrumentals sparkle among musical tarot-card readings weaving pastoral ballets entwined in sublime serpentine post-folk hypnosis; meditative cave-ins whose budding buddhic grooves greet shadow-chasing incantations dancing in the wind. 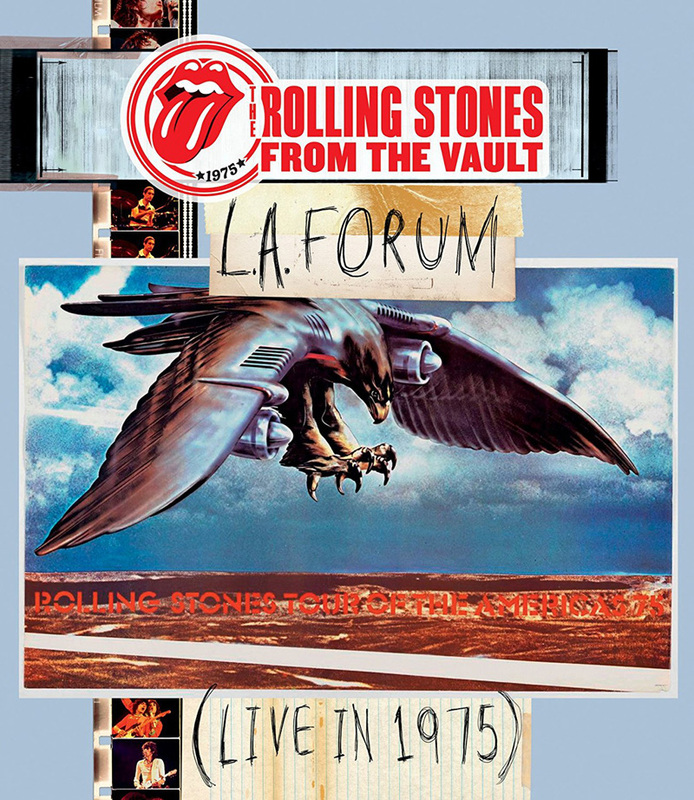 Full of surprises, the band’s live performances are incredible. Catch them playing Milwaukee’s Colectivo Coffee’s Back Room April 12th. 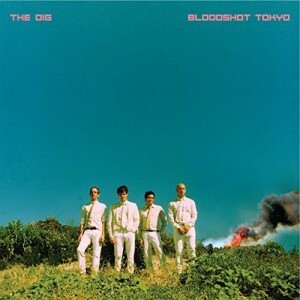 As a quartet with three songwriters and two vocalists; The Dig’s albums enjoy a cohesive diversity whose seamless intrigue is fascinatingly balanced in a flashy crash-course of craft, cunning and clout. Doused in playful danger and buffed to a mouth-watering gloss, the slinky ministers of coy nocturnal joys ooze in musical ruses; moon-lit night-crawlers fed hearty helpings of glam-pop showbiz. Exposing unspoken hope behind feigned disdain, the cavalier, “Bloodshot,” plots love-doctor rock with percussive struts and balcony-pelted promises. Flirtatious hooks planted between impatient bass, tweaked keys and bedroom harmonies roam in dramatic undertones as edgy after-hours elegies peddling shadow-seeking jealousies sneak back-seat speeches past thorny romance, heartsick visions and bruised egos. The Dig plays Milwaukee’s Shank Hall March 31st along with Nico Yaryan and Kolars. ‘Machine Messiah’ marks the 14th studio album by Brazilian masters of thrash metal Sepultura, and emphatically could be their best release since 1989’s ‘Beneath The Remains’. Thanks to the inventive arrangements by the band, and the superbly crisp engineering by Jens Bogren at the Swiss Fascination Street Studios, the Sepultura vision is razor sharp and painstakingly realized on their new 2017 effort. The opening title track begins with quiet, intricate, guitar picking by Andreas Kisser and the calm, reassuring vocals of Derrick Green, building to a soaring lead guitar solo at 1:45, and by the 2:50 mark becomes more angry as the tempo builds and Green instructs the listener to “bow down to the Machine Messiah”. 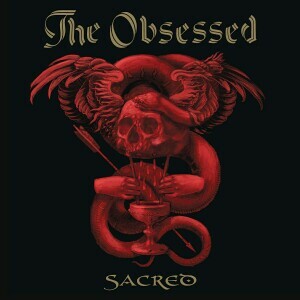 The next track, “I Am The Enemy” is a brief 2:27 blast of intensely brutal thrash attack. “Phantom Self” is colored by detailed and insanely tight drum fills courtesy of Eloy Casagrande, and features orchestration doing battle with the guitar fills as Green is “transformed in to his Phantom Self”. The instrumental “Iceberg Dances” is seriously epic and thematic heavy metal, yet is filled out by keyboards and classical guitar! 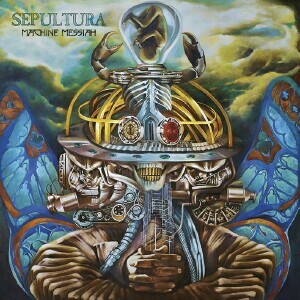 This 46 minute metal manifesto comes to a close with pure, unadulterated classic Sepultura: the fierce statement of “Cyber God”. Not even 2 weeks in to 2017, this release gives me great hope for the promise of powerful musical moments to come. 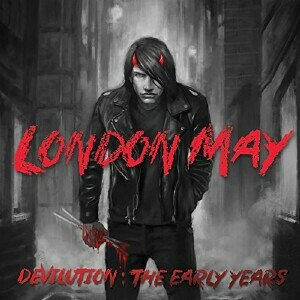 One of the most unusual but highly intriguing releases of 2016 is the London May ‘Devilution: The Early Years’ compilation (CD pressing limited to 1,000 copies). May is a punk rock drummer and actor who began in Baltimore thrashing out the beat for bands like Rat Patrol and Reptile House, which led to work with Washington D.C. punk icons Dag Nasty. Eventually the road led May west to California and gigs with some of punk’s biggest names like Samhain and the Circle Jerks. Quite a few of these tracks are unreleased, including the selections by the Circle Jerks (live rehearsal of “Wonderful”), Samhain (live), and two Dag Nasty songs. 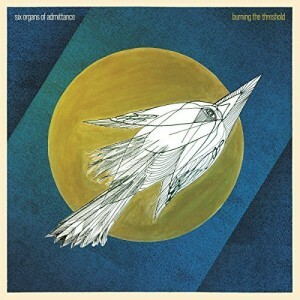 Also included are several songs seeing the first light of day in a digital format. Especially cool is the inclusion of the song “Nuthin” by Lunch Box, which is the only release by this legendary punk band that later included guitarist Ron Emory of T.S.O.L. Most of my favorite selections from this excellent high-energy compilation are from the more obscure bands like Voice Of Doom, Dead White & Blue, DogPile, and Distorted Pony. There is a commonality running through these 15 songs (by 11 different groups) which of course is London May’s rock steady drum pulse, but also a raunch ‘n roll catchy punk attitude that is easy to swallow, reminiscent of some of the most tuneful punker groups like CH3, T.S.O.L., and Social Distortion.